Resuming Tai Chi this week was, as always, enlightening to say the least. For as many years as I have been studying it, it amazes me how I continue to learn something new with each class. Take, for instance, the quaint seen I happened upon on my way to class. There something wonderfully calming about seeing a herd of sheep. Pretty scene with the sheep and farm. Great fence shots. Have a happy day! Wonderful shots of the sheep! Great shots! Have a super day! Very lovely scenic photos and the sheep and fence. Beautiful morning in the countryside! Love these shots! 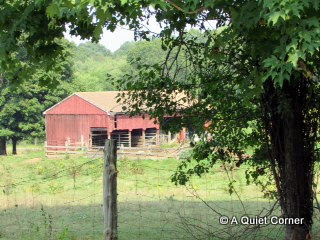 Pastoral scenes. 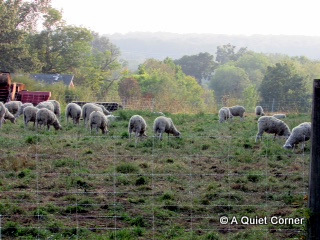 I learned some time ago that in order for a scene to be pastoral, it must have sheep. Just cows won't do. It must be true, I read it online. 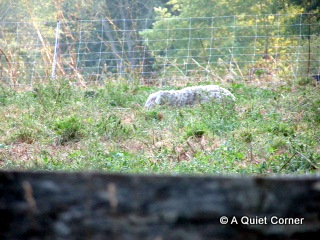 Typing very quietly so as not to disturb the sheep! - Lovely scenes that you found. Do not see many post on sleeping sheep. You did a great job and thanks for sharing. 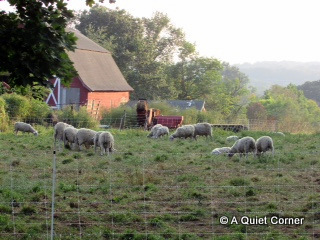 Lovely serene pictures of those sheep. You never know what's around the corner! Great shots. Love the dreamy effect of the photos. Lovely summer scenes. It's great you still discover new things in Tai Chi after having studied for some time. This is a practice I'd like to take up some time too. Have a great weekend.